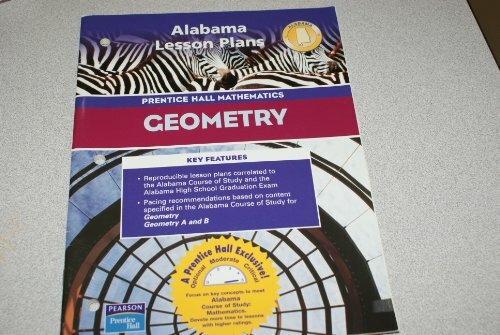 This is the fifth book in the Math Made a Bit Easier series by independent math tutor Larry Zafran. 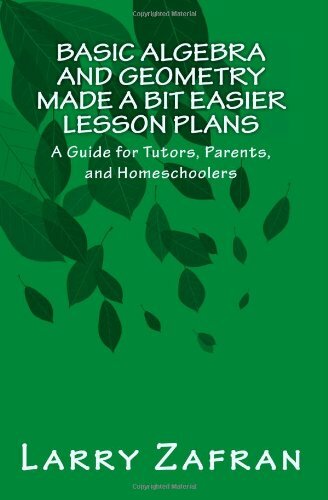 It contains 50 abridged lesson plans covering basic algebra and geometry, for a target audience of tutors, parents, and homeschoolers. 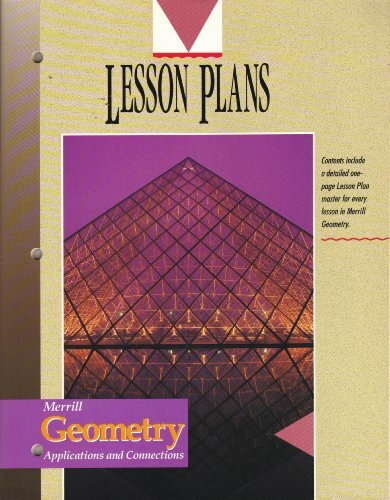 Each lesson plan includes all of the components of a typical classroom lesson such as aim, motivation, warm-up exercises, demonstrative examples, questions for thought and discussion, and connections to earlier and later material. 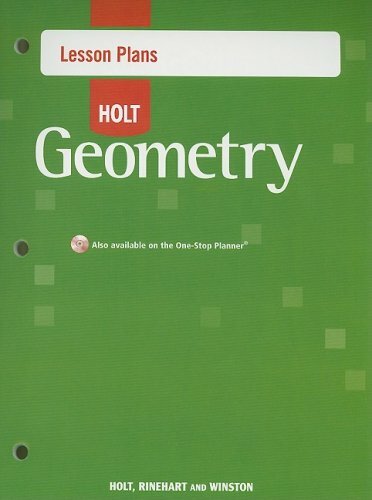 This book is intended to be used in strict conjunction with the fourth book of the series (Basic Algebra and Geometry Made a Bit Easier: Concepts Explained in Plain English). The book assumes that the instructor actually knows the material him/herself, but could benefit from having a general guideline to follow.The author makes a point of identifying the concepts which most students tend to find easy or difficult, including suggestions on how to help with the latter.